Don’t be surprised if we return again and again to this arrangement of images with our primary focus, perhaps, remaining on The Hanged Man. In any event, consider, for a moment, that Christianity, construed as an exoteric tradition, is designed for us as apparent individuals (playing The Wheel of Fortune) whose understanding is darkened (cf. The Moon) and who, as such, have nothing to look forward to but death and destruction (The Tower). Biblical narratives– insofar as we find them in some sense captivating or compelling –remind us that there is more to us than meets the eye; that the operations of our minds shine in a borrowed light; that we are, in fact, chosen/created in Christ before the foundation of the apparent world; and that we would do well to wake up and turn our hearts and our minds toward home. Thus we are invited to repent (cf. The Lover) to take up our cross (cf. The Hanged Man), to become like little children (to walk in the light as He is in the light–cf. The Sun); and to enter into the life of the Spirit NOW (cf. Le Monde); with our hearts wide open to the Spirit and Word of God (cf. The Ace of Chalices and Batons). The Spirit and the bride say, Come. And let him that hears say, Come. And let him that is thirsty come. And whosoever will, let him take the water of life freely (Revelation 22:17). 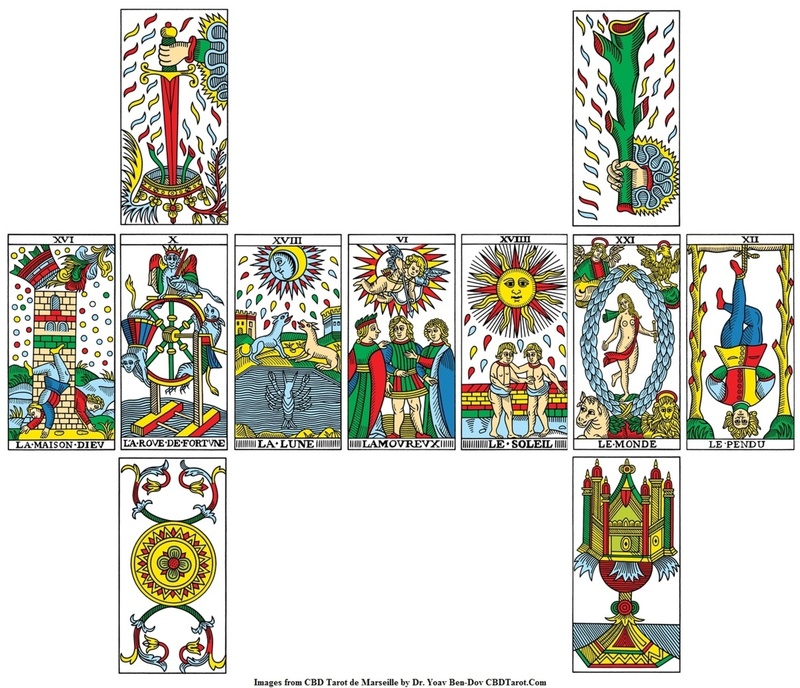 This entry was posted in Meditations on the Tarot and tagged ace of batons, ace of cups, repentance, spirit, the hanged man, the lover, the moon, the sun, the tower, the water of life, the wheel, the world. Bookmark the permalink.